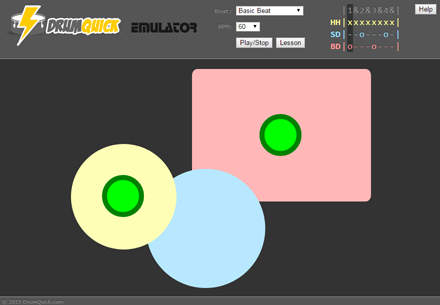 This simple and free online virtual drum set was designed specifically for interactive drum lessons for beginners. You don't need a drum set, and it will even help build drumming muscle memory for playing real drums. Built with HTML5 (no plugins required).